David Letterman’s CBS Late Show will be facing New York-based competition for the first time in its more than 20-year history next week. 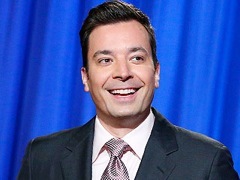 That’s when Jimmy Fallon’s Tonight Show kicks off from Manhattan in the same time slot as Letterman. It’ll be a battle like never before for guests. When his show aired in the hour following Letterman’s, it was no disgrace to accept leftovers if necessary. The natural pecking order took effect, with Late Show’s earlier and more visible time period sometimes a deciding factor. But it’s now unlikely that either host will take a guest after the other has had him the night before. That’s pretty much conceding defeat. Letterman’s show has been in repeats this week while Fallon warms up for next week’s big splash. His first batch of guests for Tonight was announced on Monday. Now Letterman and CBS have put theirs out. And frankly, it’s not much of a contest, on paper at least. Fallon seems to have an edge on every night. For their first-ever face-off, on Monday, Feb. 17th, Letterman has booked Kevin Spacey, actress Amber Heard and musical guest Gary Clark, Jr. Of more import perhaps, the nightly “Top Ten List” will be presented by the cast of CBS’ How I Met Your Mother, which will have its series finale on March 31st. That’s not bad for starters. Still, Fallon is countering with Will Smith, U2 and likely some surprise drop-ins for his opening night. Advantage: Fallon (with curiosity also a major factor). On Tuesday, Feb. 18th, Fallon is scheduled to roll out Jerry Seinfeld, Kristen Wiig and Lady Gaga. Letterman offers U.S. gold medalist Sage Kotsenburg (the Men’s Slopestyle Snowboarding champ) and musical guest Cole Swindell. It’s interesting that Kotsenburg is bypassing the home network of the Winter Games. But other than that, Fallon has a big edge. Wednesday, Feb. 19th brings Bradley Cooper and musical guest Tim McGraw to Fallon’s Tonight. Letterman’s Late Show has booked Donald Trump, actress Lupita Nyong’o and musical guest Little Dragon. Again, advantage Fallon, even if Trump considers himself the biggest get on the planet. For Thursday, Feb. 20th, Fallon has First Lady Michelle Obama,Will Ferrell and musical guest Arcade Fire. Letterman falls far short of matching him with Keri Russell as his only announced guest so far. The week ends with Fallon and lone guest Justin Timberlake, which should be more than enough. 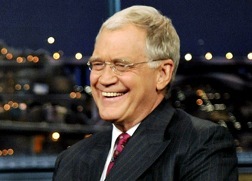 Letterman will welcome NCIS co-star Pauley Perrette, comedian Jeff Caldwell and musical guest Lake Street Dive. The desk guest playing field should even out in future weeks. It’ll have to or Letterman may be in very deep trouble not only opposite Fallon but against ABC’s Jimmy Kimmel Live. With Jay Leno out of the picture, Kimmel will have the West Coast parade all to himself for the first time.